Every time I read a medical thriller by Robin Cook I tell myself not to EVER walk into a hospital again, much less have any type of medical procedure done. 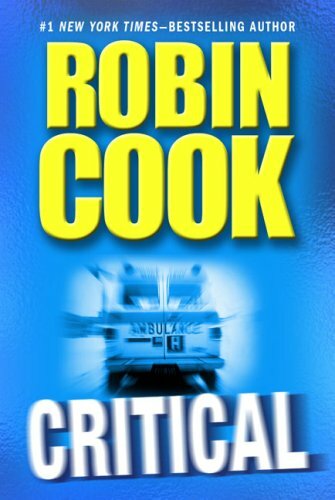 Dr. Noah Rothauser, the lead of this suspenseful medical thriller from bestselling author, Robin Cook , is thrilled to become the chief resident at Boston Memorial, one of the country’s preeminent teaching hospitals. The one cloud on the horizon is the recent death, during surgery, of popular employee Bruce Vincent, who was in charge of the hospital’s parking division. Boston Memorial’s prima donna surgeon, William Mason, performed the surgery on Vincent at the same time as he was conducting other operations, a practice known as concurrent surgeries. To shield himself from attack, Mason insists that Noah focus the hospital’s review of what led to Vincent’s death on the anesthesiologist. Despite Mason’s threat that disregarding his wishes will affect Noah’s career, the younger doctor pursues the truth, even as two shadowy hit men build a body count in a subplot whose relevance emerges in tantalizing increments. While most readers will be a step ahead of the sometimes naive Noah, everyone will be rooting for this sympathetic character. What Noah finds out threatened his career and ethics BUT… well, you’ll have to read the book for yourself. The ending will blow your mind!!!!!!! Angela Dawson, M.D., appears to have it all: at the age of thirty-seven, she owns a fabulous New York City apartment, a stunning seaside house on Nantucket, and enjoys the perks of her prosperous lifestyle. But her climb to the top was rough, marked by a troubled childhood, a failed marriage, and the devastating blow of bankruptcy as a primary-care internist. Painfully aware of the role of economics in modern life, particularly in the health-care field, Angela returned to school to earn an MBA. Armed with a shiny new degree and blessed with determination, intelligence, and impeccable timing, Angela founded a start-up company, Angels Healthcare, then took it public. With her controlling interest in three busy specialty hospitals in New York City and plans for others in Miami and Los Angeles, Angela’s future looked very bright.Then a surge of drug-resistant staph infections in all three hospitals devastates Angela’s carefully constructed world. Not only do the infections result in patient deaths, but the fatalities also cause stock prices to tumble, leaving market analysts wondering if Angela will be able to hold her empire together.New York City medical examiners Laurie Montgomery and Jack Stapleton are naturally intrigued by the uptick in staph-related post-procedure deaths. Aside from their own professional curiosity, there’s a personal stake as well: Laurie and Jack are newly married, and Jack is facing surgery to repair a torn ligament at Angels Orthopedic Hospital. 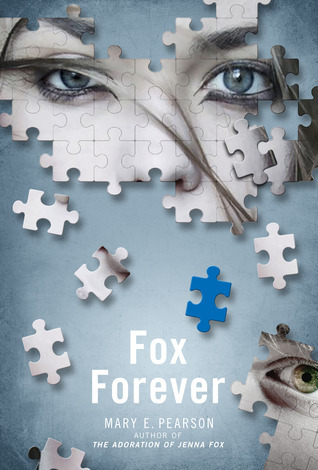 Despite Jack’s protests, Laurie can’t help investigating-opening a Pandora’s box of corporate intrigue that threatens not just her livelihood, but her life with Jack as well. 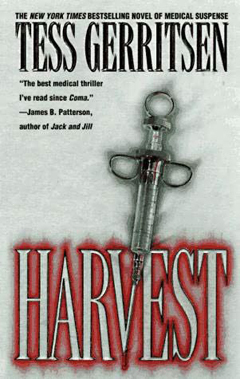 I always love a good medical thriller and this one didn’t let me down. The author tackles controversial subjects that are in the news today and makes me want to stay very far away from hospitals. If you haven’t tried a book by Robin Cook, give this one a try. Another great medical thriller by Tess Gerritson that had me hooked from the very beginning and wouldn’t let me go until the end. Makes me want to stay far far away from doctors and hospitals. 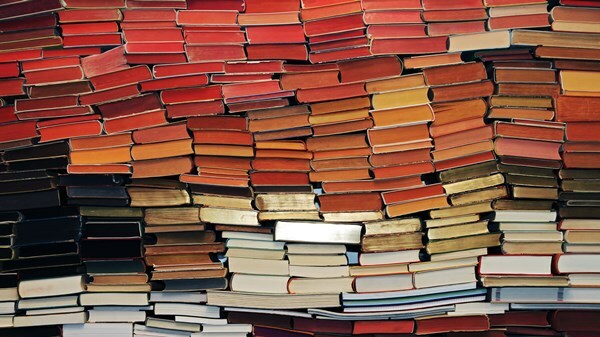 If you like books of this genre give this one a try and see what I mean.